Gorgeous, isn't it. Last week was not a great week. We acquired two more dogs, due to the death of a friend (sad), my computer suffered a major meltdown (frustrating), the outdoors is a sea of ice (very slippery). However, my amaryllis has flowered for a third time this winter, my far away child dropped in for a brief visit, and I got to teach a friend the joy of bag making. As a Christmas gift, I was going to make her a Retreat Bag, but she wanted to make her own, so I let her pick from my stash, and I helped her make this bag. She put a zippered pocket on the inside. And, of course, some black and purple kitties on the slip pocket. Didn't she do a great job! I wonder if she has caught the bag making bug, now. I finished the mittens that I have been working on since the end of November. They are for the far away child, but he passed through a day before I expected him, so they weren't finished in time, and I will have to mail them. They are in Kroy sock yarn, and the stripes almost match. They would have matched except for the knot in the one ball. The yarn was a gift from a friend, and I think there is enough left to make the grandson some boot socks. My computer is sort of working again. Hopefully I can figure out how to fix the pieces that still aren't working. Finally, my azalea has no idea what time of the year it is, and it put on a couple of blooms, today. Snow this week, maybe it will cover the ice, and my baby grandson is coming for a sleepover. This week is looking up. I have long heard about spring cleaning, but I think, when you live in a cold and snowy place, where you don't spend much time outside, January is when you notice that things need tidying. The more house bound I feel, the more I seem to try to create a more open space indoors, by sorting and tossing. I also start planning what I will do with the stuff I turn up. Yesterday, I started in on my "office". I sorted some new purse hardware into my drawers. I am embarrassed to say that I emptied my bag from quilt retreat, finally, and dealt with the stuff in the bag. I washed some new fabric, and dreamed of what I could use it for. I laid out some combinations, and took pictures. would you like to see? Some fabric I ordered, from an on line store, on boxing day, looks great, and I think it needs to become a bag. A friend asked me to make her a Backgammon Bag. She gave me some fabric for the points, from her stash. I was trying a couple of fabrics for the background. Japanese fabrics with more Japanese fabric? I think I like the darker fabric. We will see what she says. I also tried the linen with the cat fabric. In knitting news, I finished another hat. 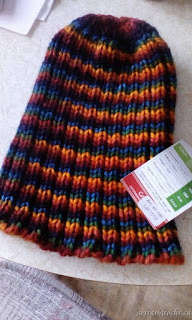 The pattern is called Expanding Rib Hat, and I knit this in the Men's size. The yarn is Biscotte Griffon. I Have More Influence Than I Thought! About a month ago, I did a review of some new knitting needles. The review was rather well received by my small group of loyal followers. Looking at my stats, and tossing the stats from obvious web crawlers and the like, I figure about 75 people read my musings about my attempts at Art. 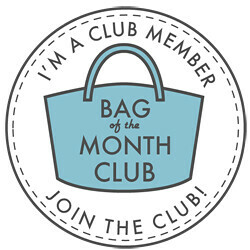 Periodically, I review new products, books, recipes. All of this is for my entertainment, and, I hope, yours. You can imagine my surprise when I received this email to my blog, this morning. I am Craig. I represent ****, we are the leader in the manufacturing of ********** related products exclusively for commercial projects and the wholesale trade. We are looking for an enthusiastic product review bloggers for our website ************* I am prepared to offer you a guestpost article to post on your blog, and to post this article we will give you $50 Amazon gift card after publishing the article. Well, Craig, it is nice of you to offer. I thought it was especially nice that you were even going to provide all the words for me. I would enjoy having $50 to spend at Amazon. That would buy a lot of zippers. However, Craig, I just don't think we are a good fit. The dogs, cats, teddies, and I don't have any use for your product. I suspect my readers don't either. We are just here to have fun. However, if there are any makers of luxury yarn, or fine chocolates, who would like my HONEST opinion of your product, maybe we can talk! You don't pay me, and I'll tell my readers what I really think. And for my cat fans, a picture of some tiny kittens. These guys have all gone to their new homes, now, but baby pictures are always cute! Left to Right, Bruno, Dickens, Drake, and Gary. So, to celebrate winter, I bought a daffodil. Somehow, grocery store potted bulbs are just what I need in the dull days of January and February. A friend is going south (which seems wise) and I volunteered to make her a neck wallet for her passport. I looked at the patterns available, and didn't see exactly what I wanted, but I did see a picture of a commercial one, that looked right. I realized that it was a variation of the Double-Zip Wristlet, a tutorial by Bethany at Sweet Bee Buzzings. So I got out my passport, measured it up, and started to work. I completed the front pocket, and thought I had better check to see if the passport fit. Okay, looks good. Then I tried to put the passport through the zippered opening. It is too narrow, by the width of the zipper slide. I completely forgot to take into account the zipper slide in my measurements. Okay, Passport Wallet, take 2! It fits! It slides in and out with ease. As you may be able to tell from the pictures, for awhile I was buying Oriental fat quarters. This seemed like a good way to use them up. However, I didn't really plan it use one for non-passport wallet. Here is the completed wallet and strap. Don't look too closely at the top stitching on the strap. 1/2 inch straps are really hard to top stitch and keep the stitching straight. The back pocket can hold an itinerary, or boarding pass. I added a pocket for a credit card, or maybe a coffee card, so the user will have quick access to pay for snacks en route. I sewed the strap to the back. I considered using a swivel clip and D-ring, but I didn't want any metal since it has to go through airport security. I used 2 fat quarters, and some scraps of interfacing and fusible fleece. The general directions are the same as the tutorial. Before you start, measure your passport. These measurements work for a Canadian passport. I don't know if they are standardized. I made the bag 2 1/4" wider and 2 1/2" longer than my passport. From the exterior fat quarter, cut 2 pieces 2" x 22" for the strap, 2 pieces 7 1/2" x 5 1/2" for the exterior, 2 pieces 2" x 5 1/2" for the top of the front pocket, and 2 pieces 6" x 5 1/2" . I used 2 pieces of SF101 (woven interfacing) cut 7 1/4" x 5 1/4", and two pieces of fusible fleece cut 7" x 5" and fused those to the back side of the exterior pieces. From the lining fat quarter, cut 2 pieces 7 1/2" x 5 1/2"., and 1 piece 3" x 7" for the slip pocket. I followed Bethany's tutorial. Before I started sewing the top zipper, I made the slip pocket by folding it in half, sewing around, leaving an opening to turn, and top stitched it to a lining piece, 1 1/2" from the top edge, and centred on the lining piece. The two pieces for the strap were joined, to make a 40" piece, I folded it into 4 and top stitched the edges (poorly). I attached the strap to the back, 1 1/2" down from the zipper, and 1 1/4" in from the side edges. The top of my bag would have been tidier if I had trimmed more fabric away from the zipper seams, before I turned it, but I only realized that after I closed the bottom seam. Thanks to Bethany for posting such an awesome Tutorial. I will be making more of these. I created a pattern for a tote bag, and taught it in a class at my quilt group. The Works in Progress are the ones I actually have immediate plans to finish. There are probably more that will find there way here in the next while. Going forward, I am continuing to try not letting a day go by without some crafting. My knitting continues to travel with me, to meetings and appointments. Since most of my sewing is done by machine, I can't travel with it quite so well. 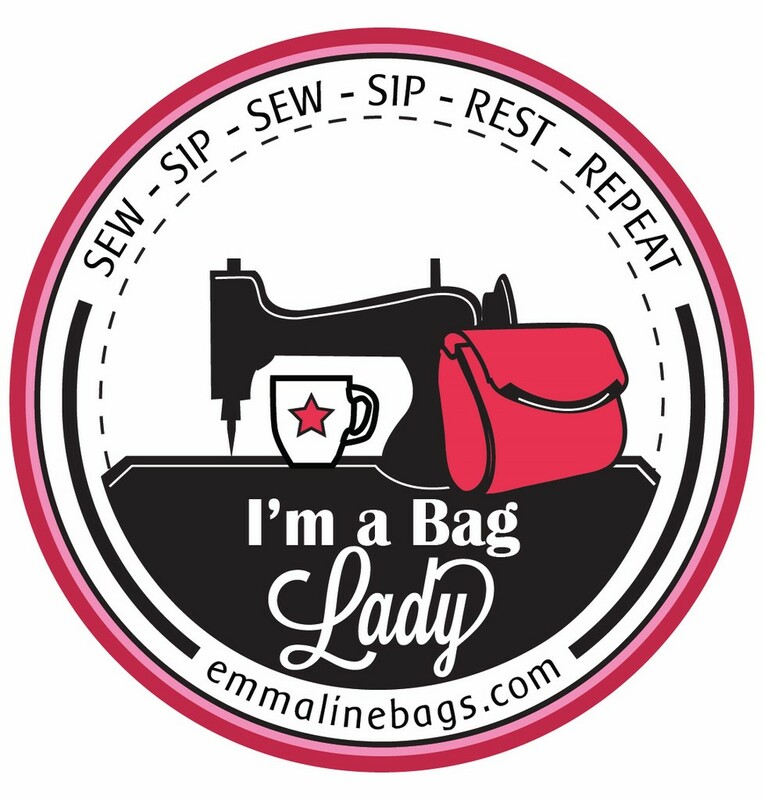 I plan to make more bags, finish at least one quilt, and knit lots. I will continue to use my stash as much as possible. I will also keep learning new things.